At around 3:00 AM about 120 years ago, Rasmus Midgett – a mounted surfman with the US Lifesaving Service – was on a South Patrol the night after the hurricane, San Ciriaco, hit the Outer Banks of North Carolina. In the dark, he heard faint shouting over the winds as he came near the wreck of the Barquentine Pricilla. It had lost all of its masts and was awash in the rising tide and pounding surf. There were ten men aboard desperately fighting to stay alive. Surfman Midgett was three miles from his station and alone. He knew that if he went back for help, the men would die waiting the three hours it would take for him and his crew to return. If he stayed to help alone, he might very well die himself. But leaving was impossible. It was too late. In that deep and private part of his being Rasmus Midgett, a descendent of castaways and pirates, was noble. He timed the waves, held his breath against the howling wind, and ran headlong into the sea. 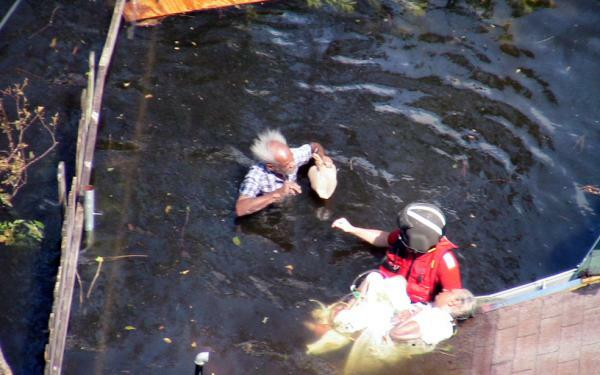 As soon as he heard the cries and saw the wreck he had the only requirements you still use today to launch a rescue. Without a radio or 911, without seeing a flare or hearing a Mayday, he knew the two things that have tugged at the soul of every Coast Guard man and women for over two centuries now. He knew that someone was in trouble and he knew where they were. For over a century before that night and now, over a century later, those two vague requirements are all that spurs you to action: If you know someone is in trouble and you have the slightest idea where they are…. you will go; no questions. You will go. Everyone of you still serving, from the kids in boot camp to the saltiest among you knew it when you joined. You will go and your reasons for going will be the same as Midgett’s. You will go because you can’t help it. You will go because your parents taught you to be honorable. You will go because the desire and the need to help is the best of what is within you. It’s precisely the opportunity to be there for those in need that drew you to service in the first place. The Coast Guard motto for over 180 years now has been Semper Paratus (Always Ready) but I feel like its true meaning has been lost. You were taught that it means to be prepared with your equipment or prepared with your training to do your job; prepared by having your assets standing by, ready to launch. But these things are incidental. Being prepared physically, having a boat or helicopter standing by at the ready is a by-product of Semper Paratus. As you move forward in your career, you should consider again: What does Always Ready mean? Ready for everything? No. After Hurricane Katrina passed, and the levees broke, no one in the entire Coast Guard was “ready” for what we saw. We were not prepared for what we had to do. We had never done it before and no one would have guessed that we would have to. But, with those two things alone: “someone is in trouble and I know where they are,” we were – as always – as Rasmus Midgett was, ready in our hearts at least to go and to try. 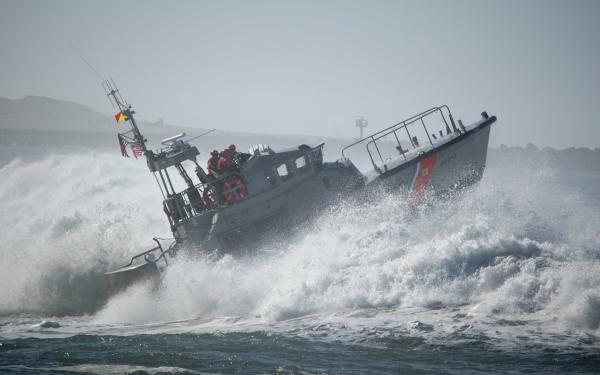 Semper Paratus is not the condition of your ships or aircraft. It is not the level of your training or your skills. It is not what you have but rather what you have inside of you. It is a condition of your heart. It is not something you were taught; it is something – however hard you may have been trying to hide it – that you already are. You are all good, you are all noble, you will all go. That is what you should be always ready for. Semper Paratus means to be always ready for yourself. This is the Coast Guard’s deepest secret: They don’t really do anything as an organization but find people who, for no other reason than the nobility that drives them, cannot help but to act when they know someone needs them. Sitting here safely at my desk now, whenever I read about the latest rescue, I’m still in awe; not for what you do, but for who you are that makes you do it. So take care of your equipment and pay attention to your training and learn all you can from those who have gone before you. Take care of each other and prepare in all the ways that you possibly can; because I know that when you hear that faint shouting over the wind you will all hold your breath and run headlong into the sea. Understanding that much about yourselves is what prepares everything else and brings you home. In the early morning, about 120 years ago, the Keeper of The Gull Shoal lifesaving station, David Pugh, was standing on the beach looking South for his now very late crewman. Out of the pre-dawn mist an exhausted Rasmus Midgett came home after having ran alone into the sea ten times. 2:00am August 18th, 1899: Surfman Midgett departs on South Patrol, returned with ten survivors. God bless his memory. Semper Paratus, and may God bless you too.